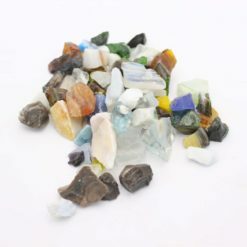 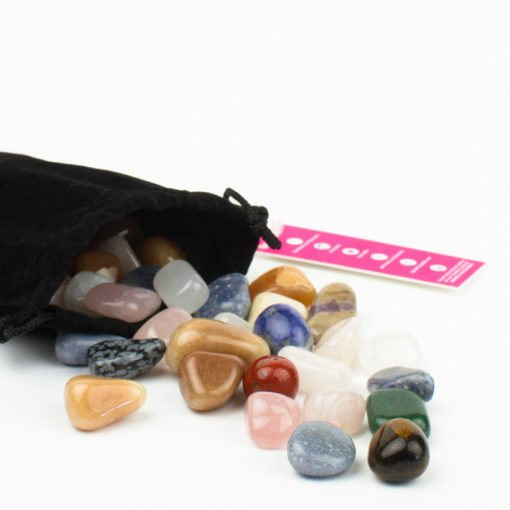 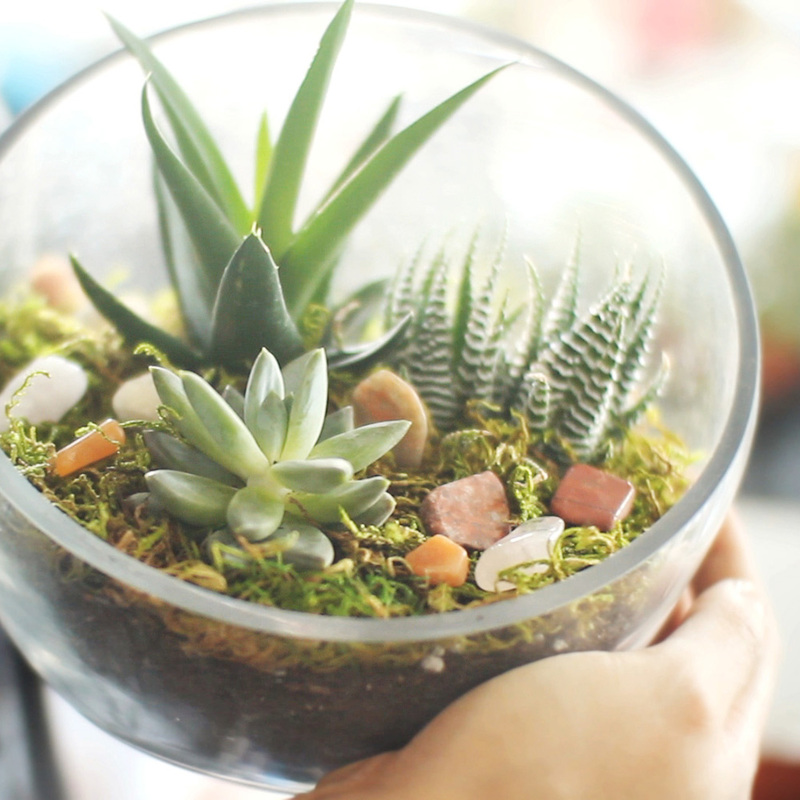 Assorted colored rocks and gemstones add a lovely finishing touch to your DIY desert terrarium project. 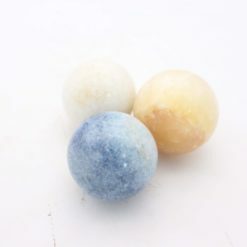 Their colors range from translucent pink to jade green to bright brick red – some even look like a NASA photo of the solar system. 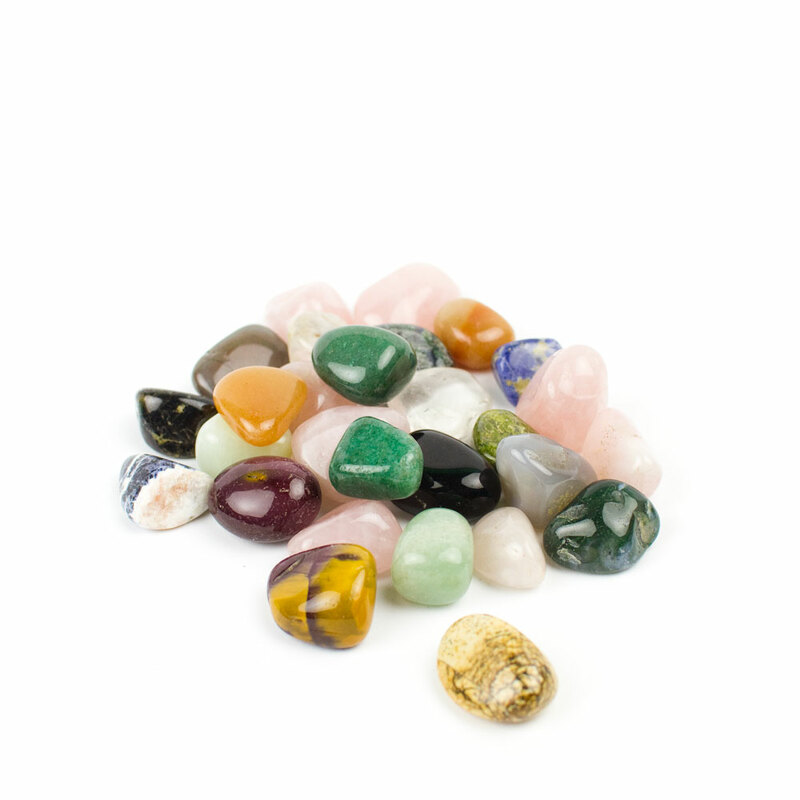 These gems have been tumbled and smoothed out so they look shiny and beautiful next to your juicy plants. The gems are roughly the size of a nickel coin and come in a soft black bag with drawstring. 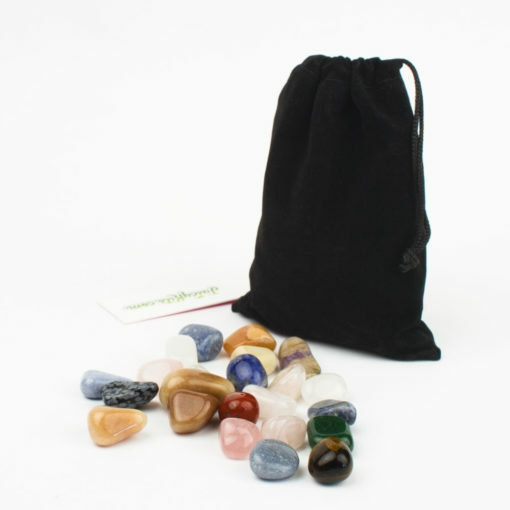 Each order includes a 1/2 lb. random assortment of gems. That’s about what you see in the photo.